Opel announced its “7 in 17” new model offensive on Monday, revealing a meagre degree of details about a few models that had not previously been announced. 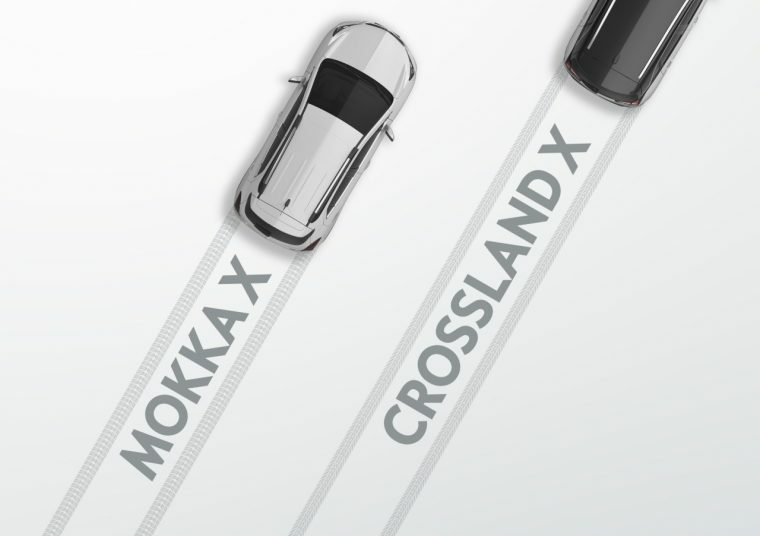 One of these models is the Crossland X, a new crossover that was announced as a B-segment complement to the MOKKA X that is set to be released early next year. Opel did not have much to say about the Crossland X apart from noting that it will build upon consumer preferences for crossovers that offer fit and function, and noting that the name, “which is new, different, and exciting.” is intended to signify a certain characteristic charm. Automotive News notes that the Crossland X will serve as the replacement for the Opel Meriva, hinting that it “has design elements similar to Opel ADAM’s ‘lifestyle’ minicar” and shares a platform with the Peugeot 2008 and Citroen C3 Picasso. It is also stated that the “X” nomenclature—first utilized with the MOKKA X and continued with the Crossland X—will become the new norm for Opel SUVs crossovers. Auto News reports that Opel’s yet-unnamed C-segment crossover will also bear an “X” suffix, adding that it will be kindred with the Peugeot 3008 and should debut next September in Frankfurt.